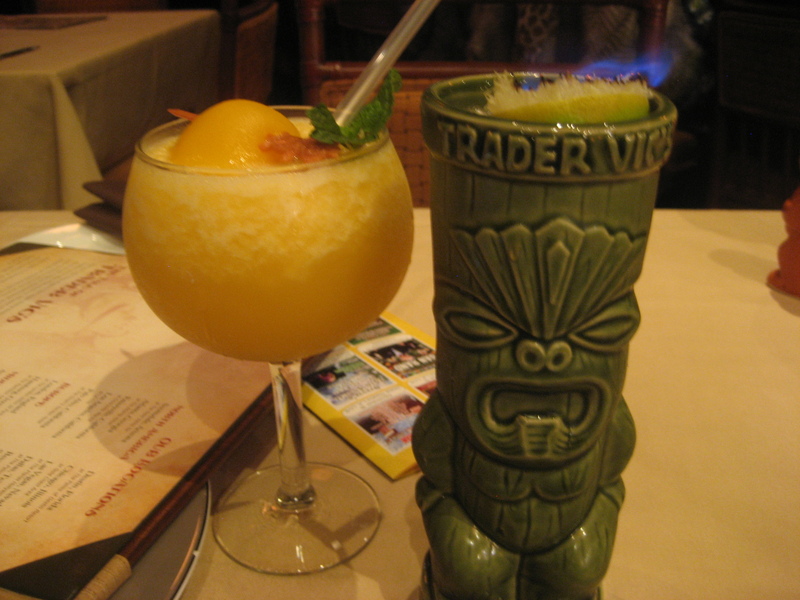 While many major cities lack even one Trader Vic’s, Los Angeles is lucky enough to have two! (Sort of. The Beverly Hills “lounge” is a story for another time.) 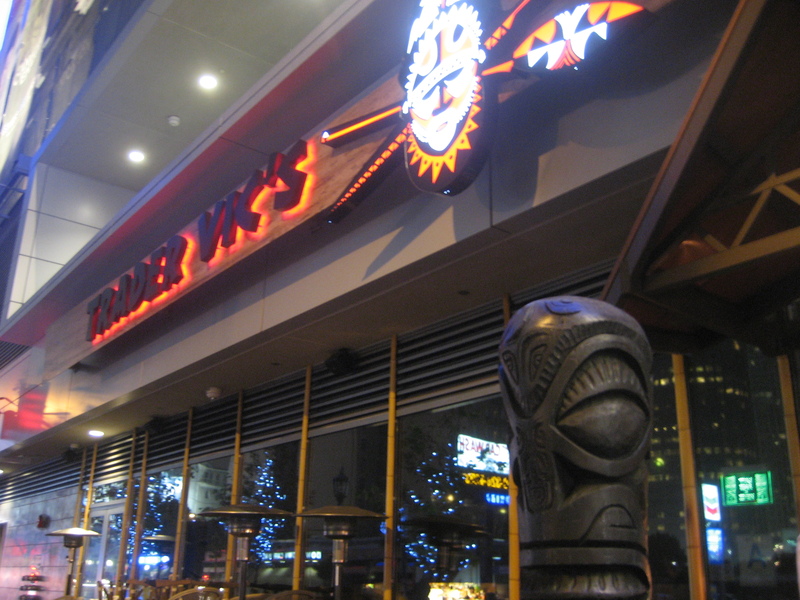 This is one of the newer locations of this historic tiki chain—it opened in 2009 in the LA LIVE complex downtown. Being so close to Staples Center, the bar is the perfect spot for a postgame drink—win or lose. Suffering Bastards are particularly popular when it’s the latter. Happy hour is Monday through Friday from 3 p.m.-6 p.m., offering discounted appetizers and a handful of $6 cocktails (Mai Tai, Bahia, Navy Grog, etc.). 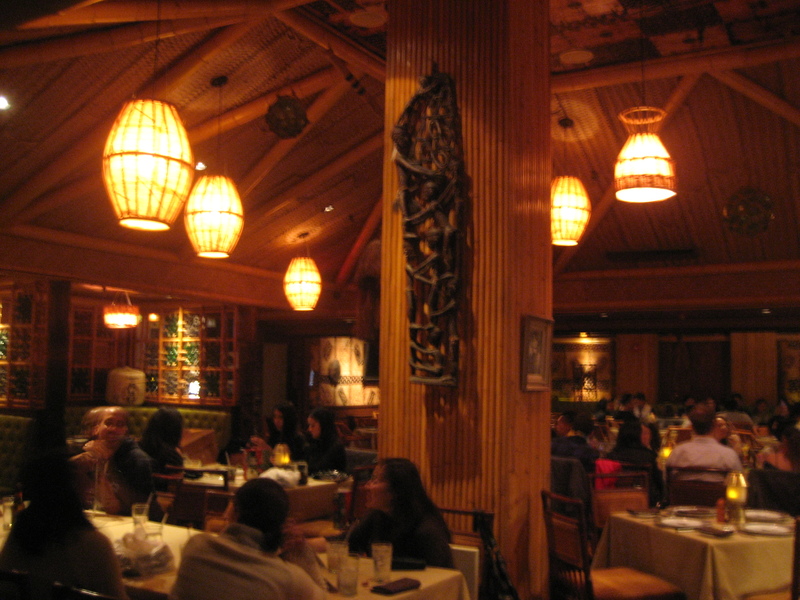 The dining room does an elegant take on tiki decor, with high, angled ceilings, lots of bamboo, lanterns, green booths, green Chinese tiles and beautiful tapa cloth covering some of the walls. It’s a lovely oasis amid all the glass and steel of downtown. 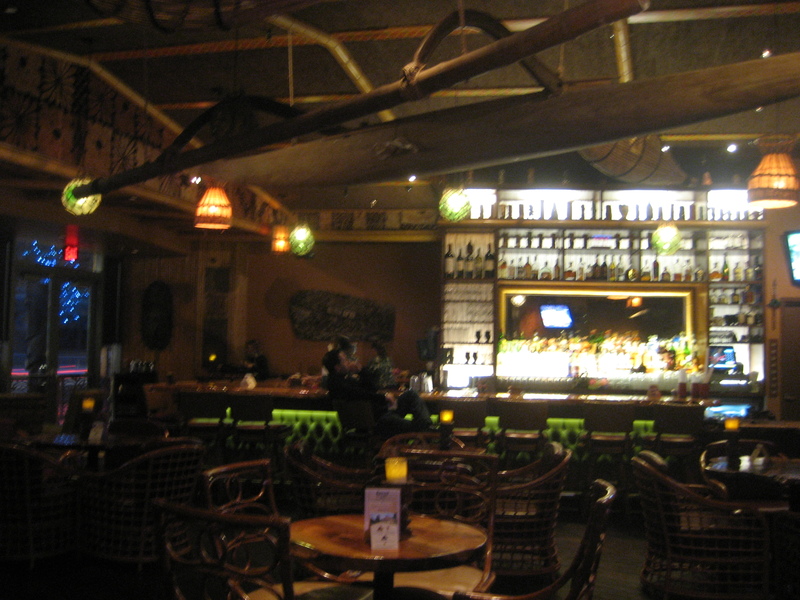 It’s widely assumed that the food at tiki spots usually doesn’t compare to the quality of the drinks, but Trader Vic’s has a reputation for serving pretty good grub. 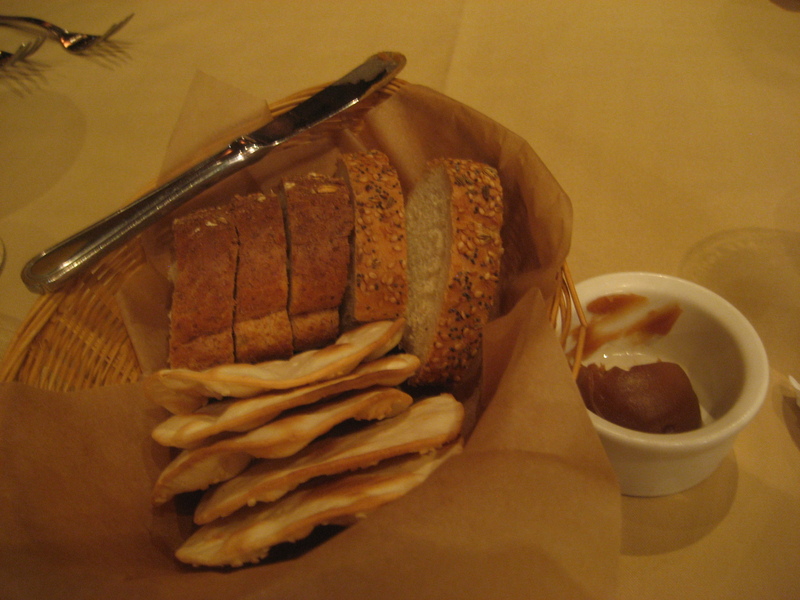 The meal starts off in a unique way, with bread and peanut butter! 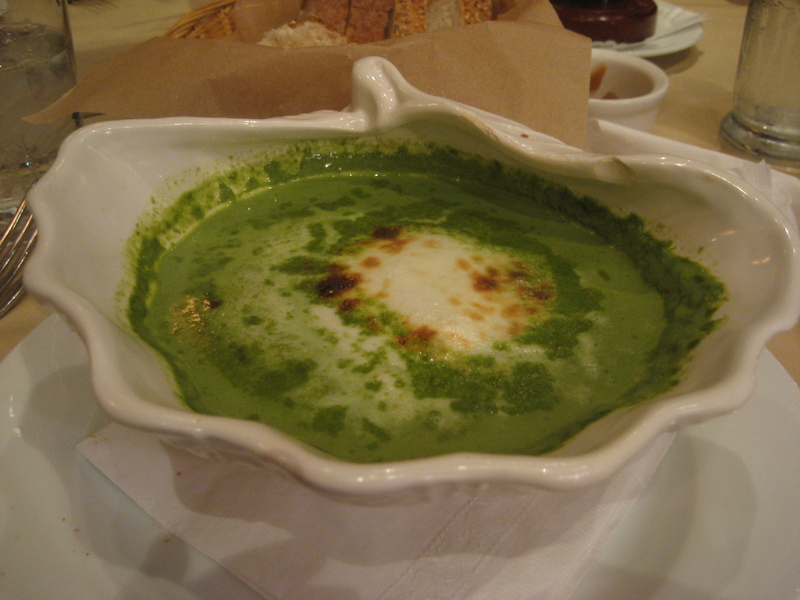 The Bongo Bongo soup ($8) is a classic Trader Vic’s dish, and according to Jeff Berry’s Taboo Table, this velouté of oysters and spinach was inspired by a special type of clam the Maori ate in New Zealand. It kind of looks like a swamp and it has a very distinct flavor that’s not for everyone, but I liked it. Mr. 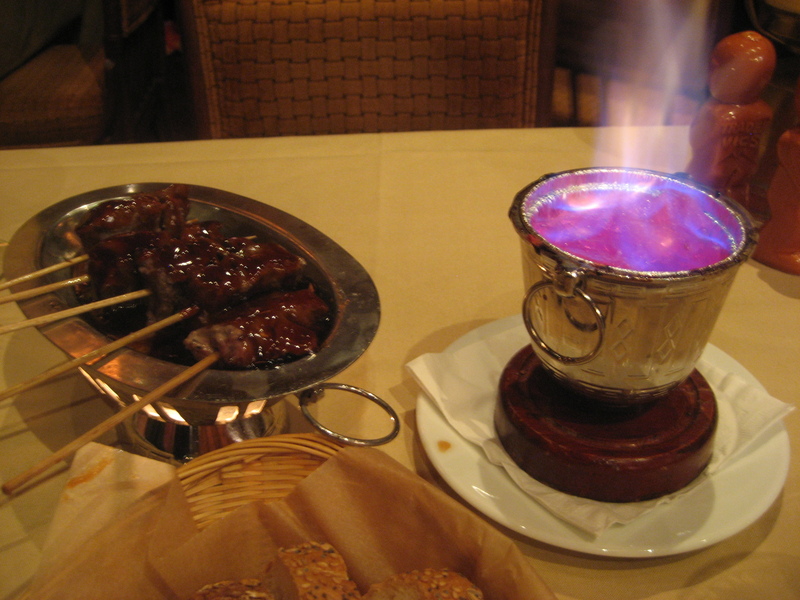 Baseball is a bit of a pyromaniac so he loved that the Beef Cho Cho ($11) was served with a mini hibachi to finish cooking the seared steak with soy sake sauce. And what could be a better follow-up to meat than…more meat? 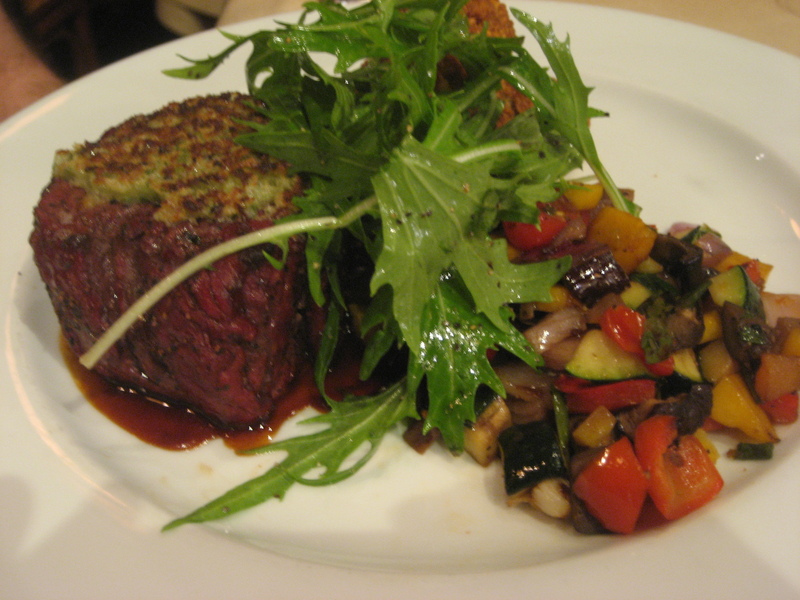 He thought the wasabi crusted filet mignon ($32) was well-prepared but he wasn’t so crazy about the smoked Asian ratatouille. It looks like they’ve added Hawaiian spiced fries to this item since we dined there awhile back. 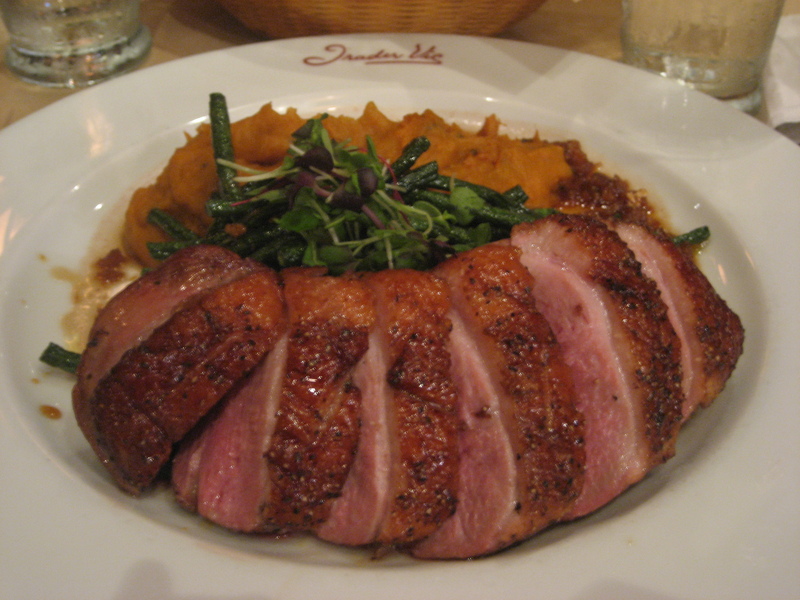 I was really blown away by the chai tea duck with yam-scallion puree, long beans and sherry ginger reduction ($24). It was so tender and flavorful. Overall we had a wonderful meal and our server couldn’t have been nicer. Trader Vic’s has also teamed up with the Regal Cinemas at LA LIVE to offer a dinner and a movie special that includes a three-course meal and movie ticket for $30 per person, just in case you needed yet another reason to get down there. 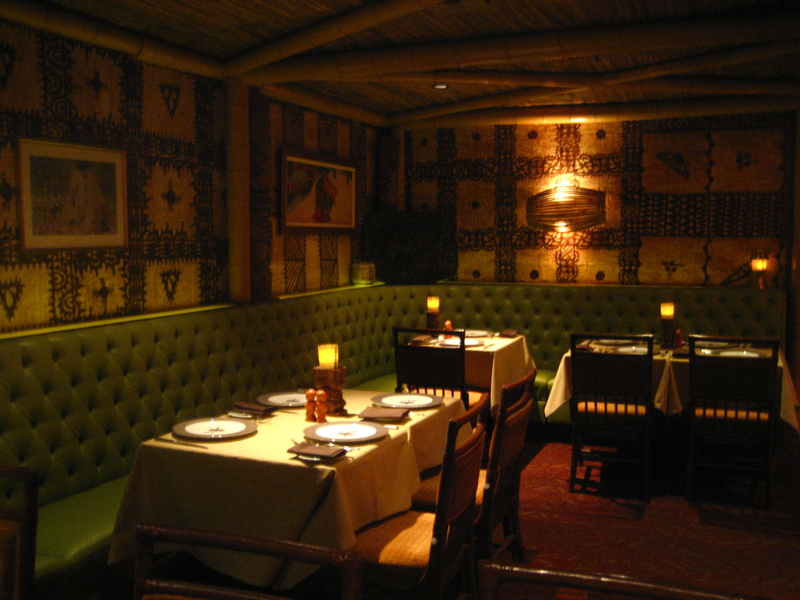 UPDATE: Sadly, Trader Vic’s LA closed March 18, 2014. Yum! Let’s go here sometime!